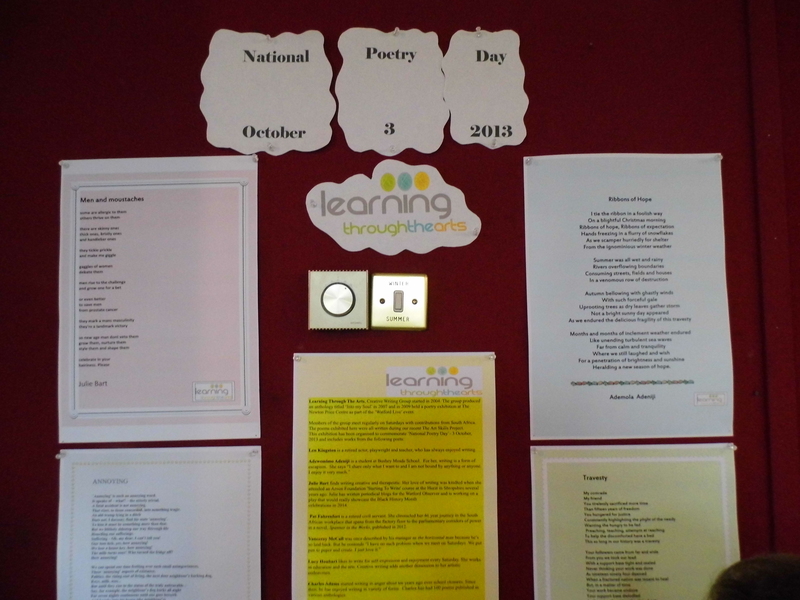 Poetic Galaxy: A Poetry Exhibition was organised to mark National Poetry Day, 3 October 2013. The collection of poems were developed through prompts from Saturday writing workshops. Hosted by The Watford Museum from 3 – 24 October 2014, the poems reflected a diversity of thoughts and expression from poets of varied backgrounds and heritage. Produced as part of our Arts Skills Projects, between September 2012 and March 2013, the poetry cover diverse themes with boundless imagination and creativity , including contributions from South Africa.